Visually stunning but lacking heart? It’s not just one thing that is wrong, it’s two. A common complaint of many films is that while they are stunning visually, they somehow lack heart. Often it is hard to describe exactly what is missing, let alone come up with the necessary pieces to fill that hole in a story. This is due to the nature of what is missing, i.e. it’s not so much one thing that is missing as it is two. When you speak of emotions or “heart,” what you are really describing is the relationship between things. You can’t really experience love or sadness without the context of that emotion as it relates to something else. Emotions exist as a result of an inequity between two separate things, whether they be objects or in our case, characters. The nature of emotion requires a relationship. So when you see a film or read a story that seems cold, or lacking heart, what you are really missing is that heartfelt relationship between two characters. In the Dramatica theory of story this relationship between two characters is referred to as the Relationship Story Throughline. In other story theories or screenwriting books this throughline is sometimes called the C story line or the “heartline.” Put simply, this throughline explores the emotional meaning of a story’s message. The relationship in question always revolves around the Main Character and one other Primary Character. This other character (sometimes called the Influence Character or Pivotal Character) stands in direct opposition to the Main Character’s point-of-view and represents the greatest challenge to the MC’s approach towards solving the story’s central problem. This character provides the alternative. Many writers confuse the relationship throughline for the characters in it. Though the characters are party to the relationship, the [Relationship Throughline] is not about the characters as individuals…it is about the relationship. So while you may have your own personal problems or issues, and your significant other might have his or her own issues, the two of you also have a relationship that carries with it its own separate set of issues. Now these relationship issues might spill over into the personal and may possibly even be informed by them, but it is important to clearly identify them as separate, especially when writing a story. You need to explore what is wrong with this relationship; why it’s growing or why it’s falling apart and how that impacts the two parties in question. By doing so you will have supplied your audience with an emotional argument, or message, that will coincide with the more plot-oriented logistical argument of the “headline” or A story. But most importantly, you will have given them something to feel. But upon further analysis it’s easy to see that what is often missing is the Relationship Throughline. 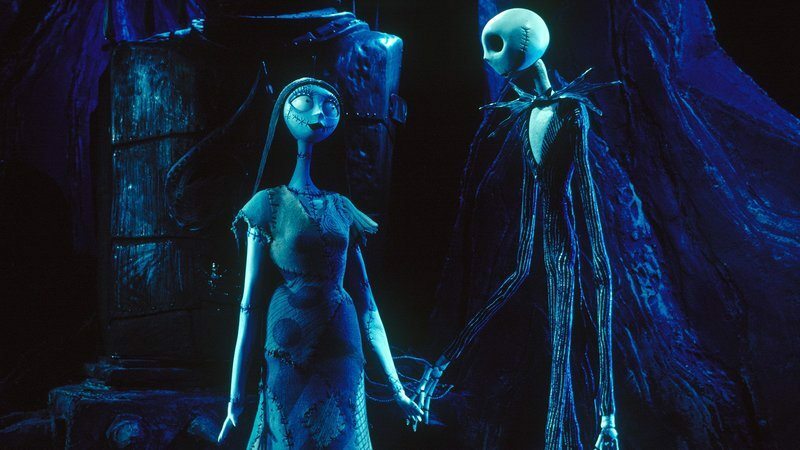 Case-in-point: The Nightmare Before Christmas. Now, I really like this film and I make sure to watch it every Halloween season. It’s apparent that many others do as well, especially when you consider that 15 years later it still runs in limited engagement every October at the El Capitan Theatre in Hollywood, CA. It is a technical marvel. But even that simple description accurately reveals what many feel is missing from this work—namely, heart. Every time Jack and Sally (Main Character and Influence Character respectively) are just about to get together and have some meaningful contact, somebody or something interrupts them. One time would be understandable, maybe even two, but these undead lovers don’t connect emotionally until the final scene! Jack doesn’t even really verify her existence until the very end. It’s a very frustrating to watch. Some would argue, “Yes, but what about all those other great romantic films where the two characters don’t finally get together until the very end? It’s a very common device.” It might be, but I’m guessing that in those successful films there is a reasonable amount of emotional development throughout. Although they might not meet each other physically until the end, their relationship grows, ebbing and flowing until that final heartfelt scene. A relationship can’t just “pop” into existence, it needs to develop into fruition. Nightmare lacks this development and therefore suffers from a lack of heart. What follows is a montage of every interaction between Jack and Sally—I left nothing out. Note how often these two get interrupted, but more importantly pay attention to how you feel at the end of this clip. If you’re anything like me, you’ll be left cold and frustrated at what should’ve been a more deeply explored and heartfelt relationship throughline.